The Carbis Solutions marine boarding ladder’s lightweight aluminum construction and 1-1/4″ serrated rungs make this little ladder a sizable safety advocate! The open truss construction reduces weight and wind resistance while the heavy-duty swivel safety shoes with thick rubber treads improve footing on many surfaces. This unit also features a heavy duty 1-1/2″ aluminum Tee extrusion rail construction for enhanced strength and rigidity! Contact a Marine Access Expert Now! 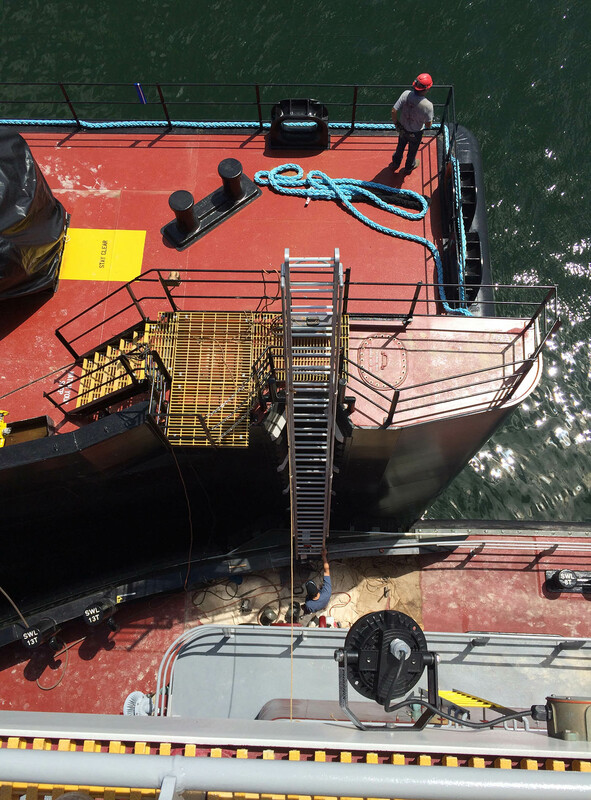 At Carbis, our engineers know the ins and outs of safe access and egress, and they can design a custom gangway for your unique application. From the rugged durable GW500 straight truss gangway to the simple, economical, and lightweight SGW series gangway — we have your stage gangway solutions covered.